SIMI VALLEY, Calif., Oct. 19, 2018 /PRNewswire/ — Airborne Wireless Network (“Airborne Wireless” or the “Company”) (OTC Pink: ABWN) today announces the status of the development and ongoing lab and field testing of its Infinitus Super HighwaySM. During lab and bench testing, the Company has demonstrated that the contemplated Infinitus Super HighwaySM can transfer data at a speed greater than 10 Gbps. However, during recent field testing, the Company was not able to replicate the speed due to issues with the hardware and software and their integration. The Free Space Optics terminals supplied by Mynaric AG required additional modifications, for which Mynaric has provided support in the form of additional equipment as well as sending two of its technicians to work with our staff in the lab and field. In addition, the custom software developed by Thinking Different Technologies B.V. (TDT), per the Company’s specifications (and owned by the Company), has required updating, which TDT has been providing. Finally, iNTELLICOM Technologies, Inc., which provides engineering design, product implementation and production, and serves as an integration and test services partner, has been providing additional support. Once these identified modifications are completed, the Company intends to conduct additional field testing and has been granted permission to conduct the field testing at a nearby private university campus located in Simi Valley, California. Following completion of the field testing, the Company intends to conduct a two-plane flight/Free Space Optics test utilizing two Cessnas installed with the developing Infinitus Super HighwaySM technology and hardware. 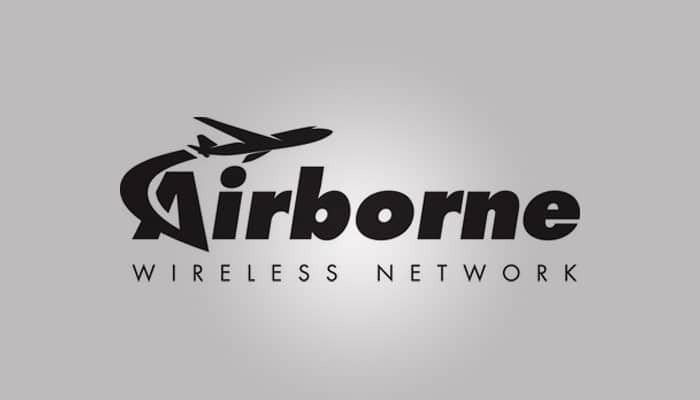 Airborne Wireless Network intends to create a high-speed broadband airborne wireless network by linking commercial aircraft in flight. It is projected that each aircraft participating in the network will act as an airborne repeater or router, sending and receiving broadband signals from one aircraft to the next and creating a digital information superhighway in the sky. The Company intends the network to be a high-speed broadband internet pipeline to improve coverage and connectivity. The Company does not intend to provide retail customer coverage to end users, but, instead, act as a wholesale carrier with target customers, such as internet service providers and telephone companies. Currently, the world’s connectivity is achieved by use of undersea cables, ground-based fiber and satellites. The Company believes that the Company’s airborne digital highway may be a solution to fill the world’s connectivity void. The Company’s network, once developed, should provide low cost, high-speed connectivity to rural areas, island nations, ships at sea, oil platforms, in addition to connectivity to commercial and private aircraft in flight. Be the first to comment on "Airborne Wireless Network Issues Lab and Field Testing Update"